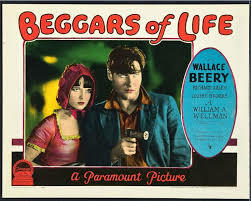 Beggars of Life, the 1928 silent classic starring the absolutely gorgeous Louise Brooks, was showing yesterday afternoon in town. I say silent; the Dodge Brothers, Mark Kermode's pick-up band, provided the soundtrack. Live! And with the brilliant Neil Brand tinkling the ivories. I know - the perfect way to idle away a couple of hours on a freezing cold Sunday afternoon. Judging by the left hand photo, Siouxsie was a fan. 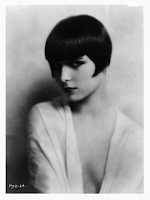 Not just Siouxsie. She was a very influential woman. And something of a siren.